The final episode of Pokemon Generations comes in the form of The Redemption, and I'll say right now that the series definitely redeemed itself after The Investigation, ending it on a high and touching episode. 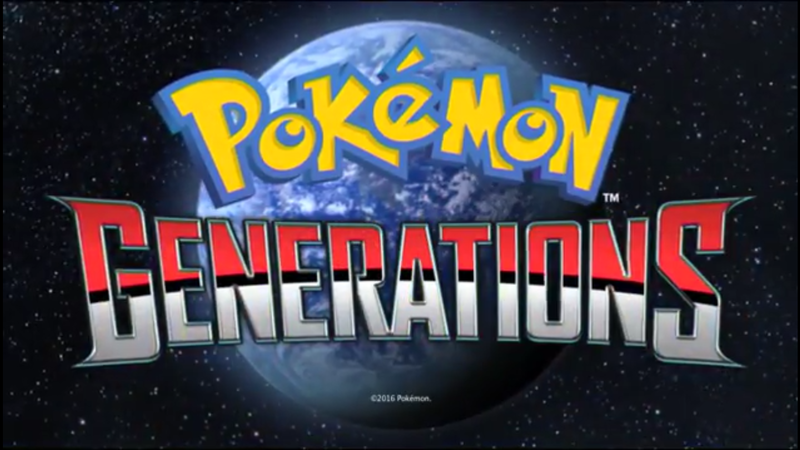 Since this is the final time we see the Kalos and the Pokemon Universe in Generations, what better way to end it by featuring post-game content. I know that The Investigation had post-game content, but that was kinda meh. I guess it was included to save this part of the content for the final episode. Good job, but I still don't like The Investigation. So The Redemption. This episode features a mysterious new character to the roster we've had in Generations, and he looks familiar to me from the YouTube Pokemon clips I've seen. For those of you who haven't played the game and don't know anything about Pokemon X and Y, this homeless looking guy is AZ. He's not named in this episode, but a quick search for "mystery guy in Pokemon X and Y" should get you to the right Bulbapedia page about him (that's what I did to find out his name!). Anyway, he shows up during the ceremony for the new Pokemon Champion along with the people who came second and third. One of them has a small Charizard, but nice to see it's not forgotten since the last time we saw Charizard was back in Kanto. AZ's appearance triggers his backstory through a flashback of some sorts when a little girl remembers the story about him. It's a mixture of love, sorrow, war and hatred, which made it a touching series of events for AZ. You wouldn't really associate that kind of relationship with him, and what he went through just to fill the void of losing his Pokemon. This backstory of his is what makes The Redemption an emotional end to the Kalos Region, and I like how his story was delivered to make it so. There's also a hint of the supernatural in it too, in that AZ is like 3,000 years old or something. Looks good for his age though, don't you think? We're brought back to the present and the reason for AZ showing up at the ceremony is because he wants to battle the new Champion. He's never been a Pokemon Trainer, so he wants to know what it's like to be one, which he is able to experience by battling. But just when you think he feels more at ease after everything he's been through, AZ has a special and touching reunion. It really is sweet, but the downside is that it ended to abruptly. Like the music in the background complemented the mood and AZ being there all happy and crying was moving, and as we're zooming out from all this, the episode just...ends. A few more seconds would have been nice with us being able to see AZ smiling or something, but I guess this was one way to bring us back to reality. Ah well. 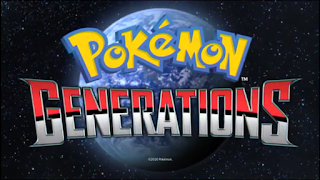 The Redemption put Pokemon Generations back on its pedestal for being one of the best short series I've seen, and ending the Kalos Region on a high. Sweet and touching it may have been, it sadly didn't make it a better Region than the Unova Region. And that's all for Pokemon Generation! It had its ups and (very brief) downs, but all in all it is definitely a recommendable series to anyone and everyone who wants to see a Pokemon anime that's close to the games in terms of story and events, and for those who want a good short anime series. If you're looking for a similar Pokemon series to satisfy your Pokemon cravings now that Generations is over but with standard length episodes, I highly recommend Pokemon Origins. It's about six episodes long, but you'll love the nostalgia and how strong the story links in with Pokemon Blue and Red. For those of you who have kept up with me throughout, what was the highlight of the series? Favourite episode(s)? And are you wishing for more like me? Let me know in the comments!